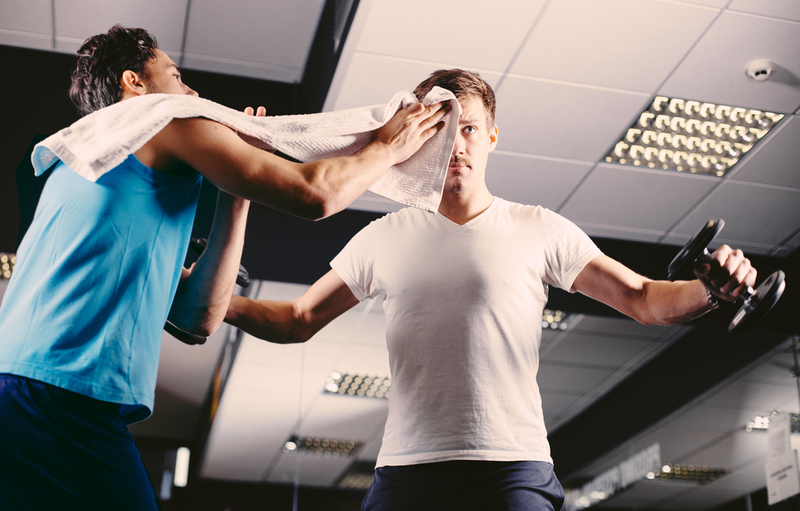 Home › Can A Workout Partner Improve Your Fitness Success? Over the years research has indicated that a workout partner helps people reach their personal health and fitness goals. There are several benefits that attribute to having a workout buddy. One of the main benefits is you work according to a schedule. You can agree upon days and times before you embark on this great physical adventure. There is a level of commitment when training with someone else, for instance, there is more consistency and discipline in the schedule. In addition, your workout buddy will likely be a friend or even a close acquaintance. This means you will actually enjoy the time you spend together in each other’s company. It is someone you can talk to, share every day difficulties with and reap the benefits of exercise with. When you have a workout partner you are motivated more than usual to follow through with the fitness routine. If you are an individual exerciser, you may feel lazy, restless or bored on certain days and may very well not get up to go to the gym. When you know someone is counting on you to turn up, you will not want to let them down. A workout buddy will help increase the productivity of the workout. You may achieve your fitness goals in a shorter amount of time. Achieving overall health and fitness goals takes persistence, focus and commitment. It makes you workout more and push yourself harder. Whether you want to gain strength, lose weight or increase muscle mass you will need to exert effort and focus on your goals. With a workout partner, you will feel motivated to push yourself and go that extra distance, because there is someone to cheer you on. Remember, to reciprocate the same level of dedication and motivation you receive from your workout partner. Another point worth considering is having similar goals. If your workout partner is already an advanced exerciser and you are just a beginner, your fitness goals may differ. This is something you need to talk about before creating a schedule, because it is easy for the person with more skill and experience to move ahead quickly while the one who lacks it lags behind. Create a disciplined schedule and build a solid foundation to facilitate the workout relationship. If you have exercised individually before and found yourself easily giving up within a few weeks because it is just too hard or you are not motivated enough, we have given you plenty of reasons why you should have a workout partner. A personal trainer would make a great workout partner, and best of all they come fully equipped with skill, knowledge and the experience of helping you meet challenging fitness goals.